"...there's a lot of work to do." TORONTO - Ontario's Metis population face a significantly higher cancer risk than the province's non-aboriginals and require culturally-sensitive prevention programs, says a new study. The joint report from Cancer Care Ontario and the Metis Nation of Ontario released Wednesday outlines the aboriginal group's cancer risk factors including higher rates of smoking, alcohol consumption and obesity. The report's authors said the smoking rates are of specific concern, particularly the number of teens and young adults who have taken up the habit. They found that 17 per cent of Metis teens smoke, compared to just eight per cent of non-aboriginal teens - and 47 per cent of Metis adults in their 20s smoke compared to 27 per cent of non-aboriginals in the same age bracket. 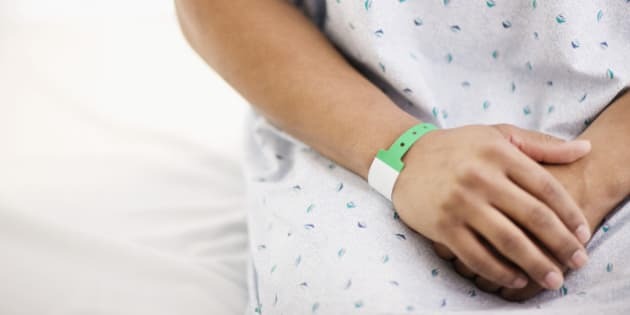 Dr. Loraine Marrett, a senior scientist at Cancer Care Ontario, said in an interview that researchers combined six years of sample surveys from Statistics Canada on the lifestyle factors that play the largest role in cancer risk. "We got to the point where we had enough years of data where we put a bunch of annual surveys together and we had enough numbers where we could look at the Metis in Ontario on their own," she said. The Ontario Cancer Registry tracks diagnoses and deaths from the disease, but does not include race or ethnicity data, and many aboriginal-specific cancer studies are generalized. Wenda Watteyne, Metis Nation of Ontario's director of healing and wellness, said the numbers are considerable cause for concern and have prompted the organization to put out a call to action on reducing commercial tobacco use. "The smoking rates, we knew were high, but we didn't know the extent of it," she said. "So there's a lot of work to do." She said the Metis Nation of Ontario will now work with various health and government organizations to realize some culture-based preventative programs - which she said could include anything from bringing different Metis communities together, to learning about the traditional aboriginal uses of tobacco. The groups will also work together to find new ways to promote cancer screening, and to understand the role of factors such as poverty and people's distance from urban centres. Watteyne said her organization considers the report to be "landmark" given the historic lack of specific data on Metis people. "It's important for policy developers and decision-makers to be aware of the very specific needs in terms of the Metis community," she said. "You can't assume that the risk factors and circumstances are the same as First Nations or Inuit people, let alone non-aboriginal members of the population."